This best of Surabaya golf package will let golfers play 4 rounds of golf at one of the best courses in the city and in the mountains. Choose from a selection of luxurious hotels and after golf explore the city and enjoy the beautiful culture. Extra days of golf of any sightseeing tour can be added. Play at the best courses in the amazing city of Surabaya. Interested? Request a free and non-obligatory quote for the Best of Surabaya Golf now. Arrival Surabaya and transfer to your hotel. 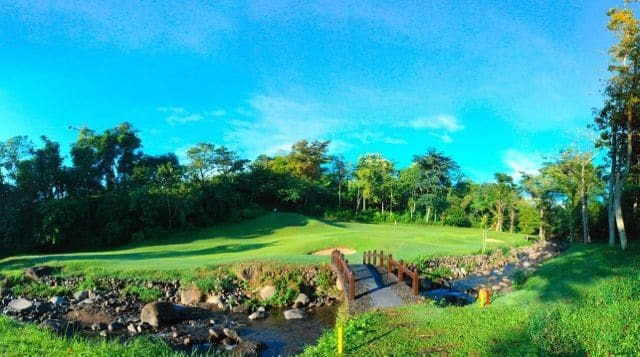 Golf at Bukit Darmo Golf (designed by Jack Nicklaus II). Golf at Finna Golf & Country Club Resort (stunning mountain resort course). Golf at Ciputra Golf Club & Hotel Surabaya (challenging 27 hole Dye designed layout).